Raymond Durgnat's classic study of Hitchcock's Psycho provides a minute analysis of this remarkable film, considering how it enables us to think afresh about questions of spectatorship, Hollywood narrative codes, psychoanalysis, editing and shot composition. This new edition includes an original introduction by Henry K. Miller. 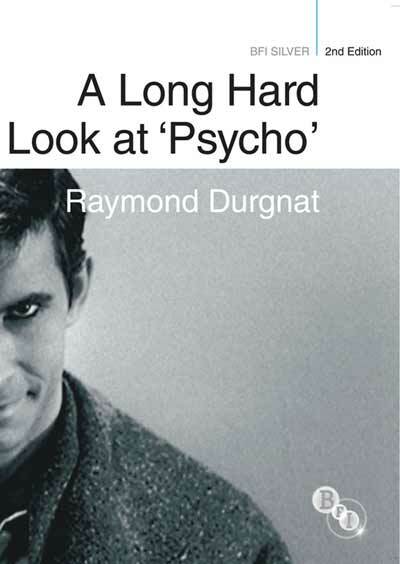 In his illuminating study of Psycho, Raymond Durgnat provides a minute analysis of its unfolding narrative, enabling us to consider what happens to the viewer as he or she watches the film, and to think afresh about questions of spectatorship, Hollywood narrative codes, psychoanalysis, editing and shot composition. In his introduction to the new edition, Henry K. Miller presents A Long Hard Look at 'Psycho' as the culmination of Durgnat's decades-long campaign to correct what he called film studies' 'Grand Error'. In the course of expounding Durgnat's root-and-branch challenge to our inherited shibboleths about Hollywood cinema in general and Hitchcock in particular, Miller also describes the eclectic intellectual tradition to which Durgnat claimed allegiance. This band of amis inconnus, among them William Empson, Edgar Morin and Manny Farber, had at its head Durgnat's mentor Thorold Dickinson. The book's story begins in the early 1960s, when Dickinson made the 'long hard look' the basis of his pioneering film course at the Slade School of Fine Art, and Psycho became one of its first objects.